We don't know what goes on at this place. Holstein Cattle Replacements? Is this where you go if you're babysitting your neighbor's holstein and it dies and you want to switch it with a new one and hope they don't notice? Is this a place that's not so secretly making robotic cows to take over the world? Does this place make prosthetic limbs for cattle? We have no idea. 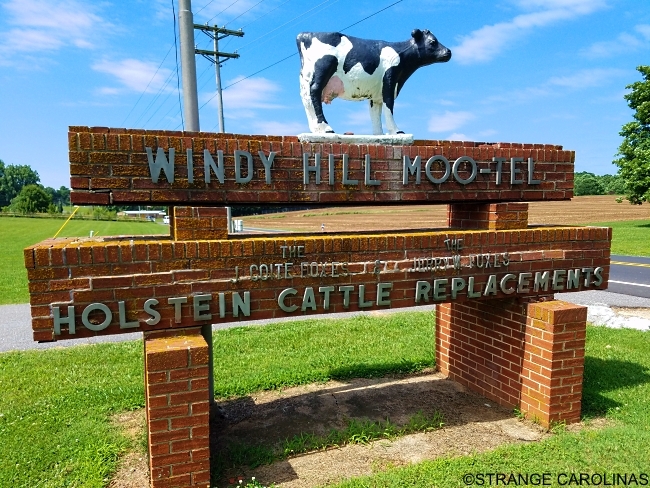 We just know that the terrific moo-tel pun coupled with the cow on top of the sign make it a roadside attraction worth checking out!